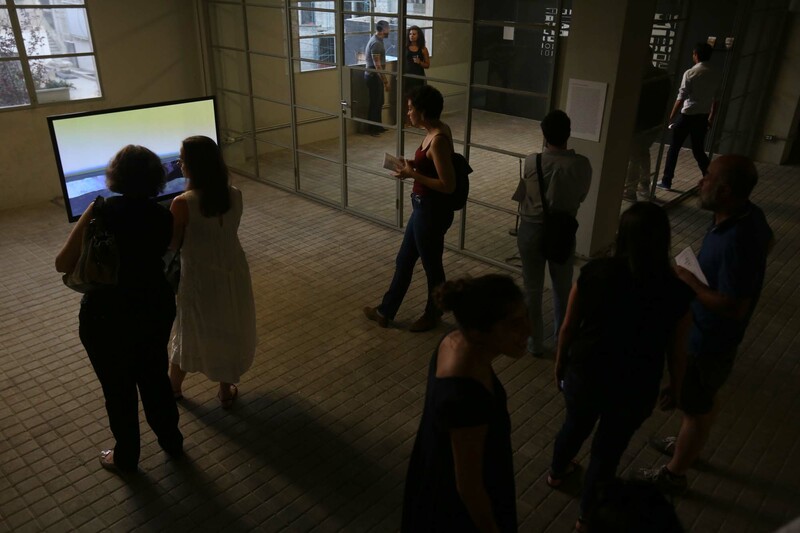 From the Miraculous to the Mundane, the 5th edition of the Home Workspace Program (HWP 2015-16), led by Resident Professor Ghalya Saadawi and Resident Advisor Haig Aivazian, is organized around workshops led by Visiting Professors Ghassan Salhab, Minerva Cuevas, Sandra Noeth, and Raqs Media Collective, and will include seminars by Ahmad Beydoun, Iman Issa, Zainab Bahrani, and Finbarr Barry Flood, and a Preface organized by Ali Cherri. The workshops and seminars in From The Miraculous to the Mundane will explore different forms of mischief, and the additional gestures we deploy (dissimulation and more) as we act and have to act in the kingdom of the real. Moreover, they will engage some of the other places (elsewhere than the desperate place between the ‘real’ and the ‘really made-up’) where the rest of us also spend most or some of our time as epistemically incorrect, not socially created, and for the most part as creative beings. The Preface for 2015-16 proposes a three-week orientation in the capital of Beirut beginning not from its center but rather from its peripheries, with the adjacent suburbs that constitute the city’s arteries and provide it with its craftsmen, manufacturers and small industries that contribute to the city’s operations, then moving inwards. The Preface is concerned with themes around the urban expansion of Beirut, and factors such as population displacements, real-estate development, gentrification and road planning that led to the hiding away of various neighborhoods, and created a binary relation between the city’s center and its marginalized peripheries. These immediate suburbs are areas where industrial and residential zones overlap, interspersed with incomplete highways, scrapped roads, and empty lots that were never built. Meanwhile, some of these suburbs became their own centers of finance, industry, and circulation – with their own peripheries and frontiers. Yet they remain connected, and sometimes hidden, to the city and to the city dweller’s everyday life. Ghassan Salhab | November 23 - December 18, 2015 More than ever, we are faced with the question of the image. What are these images that we produce, that we invoke, that we watch, and that are watching us? We are at once the creators, the producers, the actors, the witnesses, and the audience of this spectacle. What is, then, this movement of the images that never ceases to haunt the world? What is, then, this gesture? What is it capable of, as with Spinoza who wished to know what a body is capable of. Questions, or rather inquiries, which we will attempt to raise again and again by way of workshops, seminars, and talks. Saad Chakali, Walid Sadek and Tariq Teguia will accompany us, on account of their different views and work approaches. With guest speakers Saad Chakali, Walid Sadek, Ghalya Saadawi, Mohamed Soueid and Tariq Teguia. Relating to the ongoing debate on the interconnections between art, society and the public, Denormalizing Bodies. Rehearsing Citizenship will focus on the body`s capacity for action whithin these dynamics. How do artistic and political modes for action relate? How do physical and movement-based strategies represent, implement, reflect, memorize, aesthetisize, address, legitimize, practise and activate action? How – through the entanglement of physical, performative, digital and urban space – do they re-map material as well as immaterial territories? And how is collectivity experienced and produced in the process? The workshop seeks to introduce choreography as an emergent order, as a concept and practice that deals with the organization of movement in time and space, its consequences, and ultimately the violence of its inscriptions. By investigating singular concepts and practices of extended, absent, projected, re-appropriated, disciplined or mimetic bodies, it will try to understand how related strategies for action contribute to denormalizing what has become familiar and everyday, in order to force open a discussion which is also an ethical one. Parallel to research on the performativity and physicality of the production of borders that Sandra Noeth has undertaken, the workshop will be informed by case studies and practice-based inputs by invited guests. With guest speakers Lawrence Abu-Hamdan, Mounira Al-Solh, Tony Chakar, Dictaphone Group, Monika Halkort, Saba Innab and Janez Janša. Public Conference with Ismail Fayed, Gian Maria Greco, Ayesha Hameed, Latifa Laâbissi, Youmna Makhlouf, Sandra Noeth and Jalal Toufic. 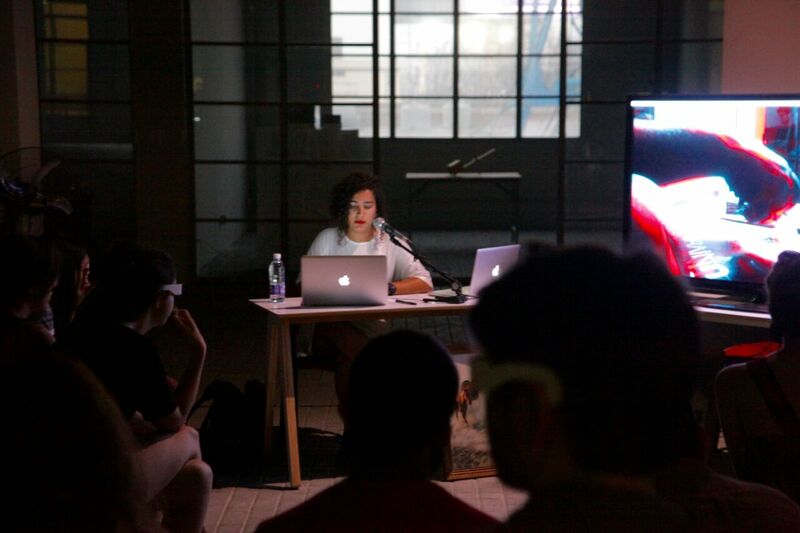 In this workshop, Minerva Cuevas will analyze the role of power and power structures as part of geopolitics and daily life, exploring the relationship between artistic practice and political action through public art, sabotage, hacking and magic. Examples of social movements and interdisciplinary projects will be used to question the tools and strategies that, in turn, are used to question the disparities that rule the world’s resources and knowledge distribution in capitalist society (in the fields of economy, politics, ecology, urbanism, technology, education). Minerva Cuevas was born in 1975 and lives and works in Mexico City. Her artistic practice is characterized by socially engaged and site­specific actions that take place in a range of settings, from public space to museums, and the Internet. She works across a variety of media including video, installation and communication technologies. From creating a corporation that gives away products and services like international student ID cards and barcode stickers, to reducing the price of food at supermarkets, to cultural experiments like buskers concerts, Cuevas assumes the role of both a political and artistic actor. In her practice, Cuevas examines the potential of informal and alternative economies. Her works allow the viewers an insight into the complexities of economic and political organization of the social sphere and its structures. Cuevas has exhibited widely in biennials such as Liverpool (2010), Berlin (2010), Lyon (2007), São Paulo (2006), Sharjah (2005), Sydney (2004), and Istanbul (2003). She has had solo exhibitions at Whitechapel Art Gallery (London, 2010), Van Abbemuseum (Netherlands, 2008), Kunsthalle Basel (Basel, 2007), Vienna Secession (Vienna, 2001), and has taken part in exhibitions at, amongst others, Centre Pompidou (Paris, 2010), Kunstverein (Hamburg, 2007), Redcat (Los Angeles, 2006), Stedelijk Museum (Amsterdam, 2005), Palais de Tokyo (Paris, 2003), and PS1 (New York, 2002). She was granted the DAAD residency (Berlin, 2004). With guest speakers Heath Bunting and Francis McKee. “Everything Else is Ordinary” is a line that caps almost every entry in a found diary kept by an industrial worker in Delhi. Raqs Media Collective weave this thought into Strikes at Time, their video exegesis on the reclaiming of lost time from the working day. In their workshop, Raqs will coax the ‘ordinary’ and the ‘extraordinary’ to play with each other by mobilizing readings of art works, film, literary texts, philosophical and scientific works, diverse cultural materials and investigative procedures in order to unravel how the mundane and the miraculous differ from, shadow and mimic each other. In doing this, they hope to offer new and exciting ways of relating art practices, thought, emotion, life and curiosity. With guest speakers Mania Akbari, Salima Hashmi, Yasmina Jraissati, Sami Khatib, and Cuauhtémoc Medina. Perhaps the most significant remnant of the period following the abolition of the ‘Caliphate’ by Mustafa Kamal in 1924, were books. The Turkish abolition offered authors who were considered prominent and up­-and­-coming in Islamic governmental jurisprudence an opportunity to approach the issue of the Caliphate afresh, and to thoroughly investigate its prospects. Later, when the conditions that had dictated this had passed, these works became subject for debate, retaining a more generic significance with regards to statecraft in Islam. Throughout the long period since these works were published, this debate went almost uninterrupted, particularly because the works adopted opposing positions on the subject. This very debate is revived today with the rise of the ‘Islamic State’ in Iraq and Syria. With al­Baghdadi as its self­-declared Caliph, the subject of the Caliphate is re­emerging as a scholarly topic in the midst of an ongoing bloodbath. Selected here, as a window onto a fresh investigation of the subject, is one of the most significant of these works: the thesis of the Egyptian Abd al­Razzak al­Sanhuri. It is often said that the proliferation of images under the regime of modernity is closely allied to discourses on and practices of iconoclasm. In narratives of secular modernity, aniconism and iconoclasm both facilitate the proliferation of images, and demonstrate the limits of their power. The iconoclasm of the Protestant Reformation is, for example, often said to have severed any necessary bond between the image and the sacred, a process of desacralization that liberated the image for purely aesthetic or profane uses. These included the production of images whose content or context tested boundaries of various sorts in gestures of metaphorical rather than literal iconoclasm. The proliferation of images as a sign of the modern thus rests on the paradox that the breaking of icons, both literal and metaphorical, is integral to the future-oriented thrust of modernity. Taussig’s observation undermines the binaries of rational/irrational, secular/religious or modern/premodern, which tend to structure many representations of image-breaking. But it also highlights the fact that most images inhabit spaces between the poles of creation and destruction. These spaces are characterized by alterations, negotiations, and obfuscations of various sorts regarding the appropriate life of images, their appearance, material constitution, ontological status, social context, and even visibility. Each of these two seminars explores quite different aspects of this “middle ground” that are often overlooked in contemporary writing on images, aniconism and iconoclasm. Source – (Filter) – Output is a two-day seminar addressing the varied relationships creative practitioners may assume towards their source material. Delving in between the clear divides of language and event, reading and writing, analysis and creation, we will try to touch on some of the implications of creative output and the role of the subject behind or contiguous to it. We will consider some of the filters creative practitioners may apply towards their source material, the type of systems and structures they may evoke to support their generation of forms and content, and how these processes and choices may, in turn, serve as the basis for the renunciation or assumption of authorship. Haig Aivazian is an artist, curator and writer born in Beirut in 1980. Using performance, video, drawing, installation and sculpture, his work weaves together personal and geo-political, micro and macro narratives in its search for ideological loopholes and short circuits. Aivazian holds an MFA from Northwestern University and is a Skowhegan alumnus (2011). He is currently teaching in the Fine Arts and Art History department in the American University of Beirut. Ahmad Beydoun is a researcher born in 1943 in Bint Jbeil (Lebanon). Until his retirement in 2007, he was a Professor of Sociology at the Lebanese University, as well as a visiting lecturer in various universities throughout France. He has led and participated in various cultural and scientific projects, organizations, and encounters in Lebanon and in over twenty countries. He has published over fifteen books (some in bilingual format – in Arabic and French) on subjects ranging from Lebanon’s society and political system to Arabic cultural and linguistic issues, in addition to literary works and translations. Beydoun’s works include Bint Jbeil – Michigan (Beirut: Dar An Nahar, 1989), Kalamun (Beirut: Dar al Jadid, 1997), Le Liban: Itinéraires dans une guerre incivile (Paris: Karthala, 2000), La réforme orpheline ou la dégénerescence du Liban (Paris: Sindbad Actes Sud, 2009), and the recent daftar al fasbaka (Beirut: L’Orient des Livres, 2013). Ali Cherri was born in Beirut in 1976. He works with video, installation, performance, multimedia and print. His recent exhibitions include Lest the Two Seas Meet at Warsaw Museum of Modern Art (Poland 2015), Mare Medi Terra at Es Baluard Museu d’Art Modern i Contemporani de Palma (Spain, 2015), On Things That Move solo show at Galerie Imane Farès (France, 2014), Songs of Loss and Songs of Love at Gwangju Museum of Art (South Korea, 2014), Helsinki Photography Biennial (Finland, 2014). Cherri has presented his work at various venues and festivals including at The Berlinale (Berlin), TIFF (Toronto), Museum of Modern Art (New York), Centre Georges Pompidou (Paris), Delfina Foundation (London), Tate Modern (London), VideoBrazil (Sao Paolo), Contemporary Image Collective (Cairo), Modern Art Oxford (Oxford), Institut du Monde Arabe (Paris), Manifesta (Amsterdam), Yalay Art Space (Hong Kong), KunstFilmBiennale (Köln), Kasa Galeri (Istanbul). He recently received the Arab Short Best Director Award at Dubai International Film Festival 2013, and the Res Artis Award 2013 at VideoBrasil, and the NEARCH Award 2014 for his current research on Archeology. Cherri works and lives in Paris and Beirut. Finbarr Barry Flood is William R. Kenan Jr. Professor of the Humanities at the Institute of Fine Arts and Department of Art History, New York University. He publishes on Islamic architectural history and historiography, cross-cultural dimensions of Islamic art, image theory, technologies of representation, and Orientalism. His books include The Great Mosque of Damascus: Studies on the Makings of an Umayyad Visual Culture (Boston: Brill, 2000), Objects of Translation: Material Culture and Medieval “Hindu-Muslim” Encounter (NJ: Princeton University Press, 2009) which was awarded the 2011 Ananda K. Coomaraswamy Prize of the Association for Asian Studies, and Globalizing Cultures: Art and Mobility in the Eighteenth Century(Ars Orientalis 39, 2011), co-edited with Nebahat Avc?o?lu. He is currently co-editing the 2-volume Blackwell Companion to Islamic Art and Architecture with Professor Gülru Necipo?lu of Harvard University. Other projects include a monograph on artistic connections between medieval Ethiopia, India and the Islamic world, on which he is working with Dr. Kindeneh Mihretie of the Institute for Ethiopian Studies, Addis Ababa. Iman Issa (born 1979, Cairo) is an artist based in Cairo and New York. Recent group and solo exhibitions include MACBA, Barcelona, Perez Museum, Miami, the 12th Sharjah biennial, the 8th Berlin Biennial, MuHKA, Antwerp, Tensta Konsthall, Spånga, New Museum, New York, and KW Institute of Contemporary Art, Berlin. Books include Common Elements published by the Glasgow Sculpture Studios and Thirty-three Stories about Reasonable Characters in Familiar Places published by the SculptureCenter in 2011. Awards include the HNF-MACBA Award (2012) and the Abraaj Group Art Prize (2013). 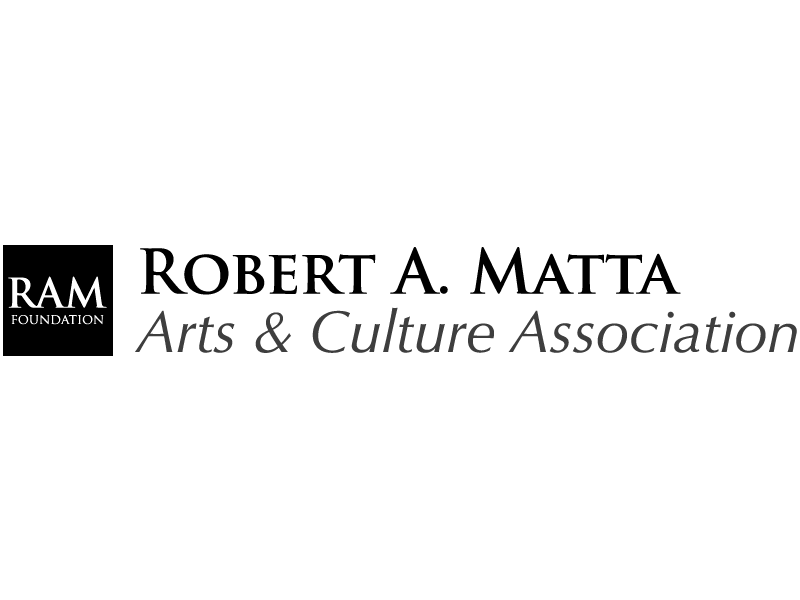 Issa teaches at the Cooper Union School of Art. Ghassan Salhab was born in Dakar, Senegal. 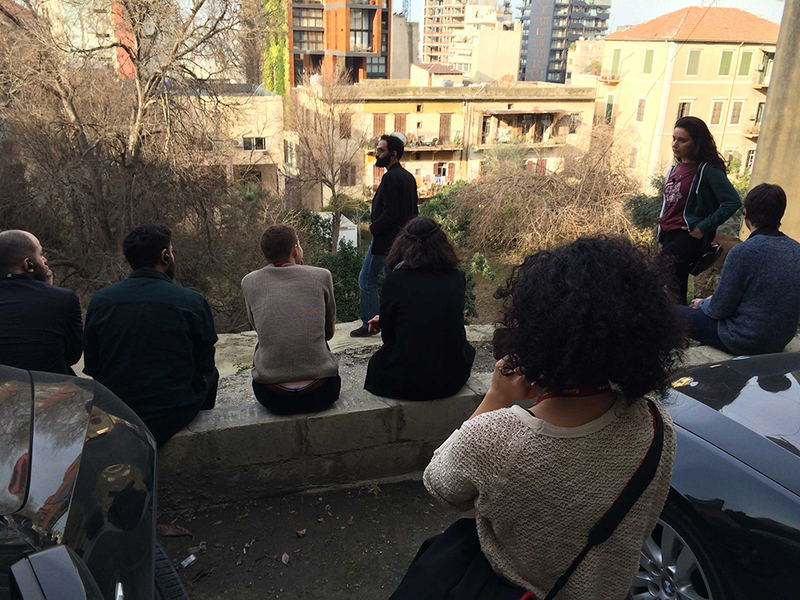 In addition to making his own films and video works, Ghassan Salhab collaborates on various scenarios in Lebanon and in France, and teaches film in Lebanon. He has directed six feature films: Beyrouth Fantôme (1998); Terra Incognita (2002); The Last Man (2006); 1958 (2009); The Mountain (2011); and recently The Valley (2014). 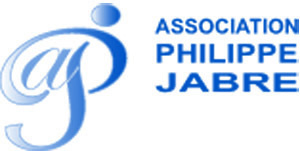 All films have been selected in various international film festivals — in addition to numerous short films and “videos”, including Everybody know this is nowhere – diptych; Le massacre des innocents – triptych; (Posthume); Narcisse Perdu; My living body, my dead body; La Rose de personne; Baalbeck (co-directed with A. Zaatari and M. Soueid); De la séduction (co-directed with N. Khodr); Afrique Fantôme; Après la Mort; among others. In 2010, a tribute to Salhab’s films was organized by La Rochelle International Film Festival and JC Carthage. Salhab has also published texts and articles in various magazines, and the book Fragments du Livre du Naufrage (Beirut: Amers Editions, 2012). Raqs Media Collective was founded in 1992 in New Delhi, by Jeebesh Bagchi, Shuddhabrata Sengupta and Monica Narula, after they graduated from the AJK Mass Communication and Research Center, Jamia Millia University in New Delhi, while working together on their first, now lost, 16mm film, Half the Night Left, and the Universe to Comprehend. Raqs is a word in Arabic, Persian and Urdu that connotes an ecstatic form of kinesis. Raqs take it to signify the practice of kinetic contemplation. Over the past two decades, the Raqs Collective has enjoyed playing a plurality of roles, often appearing as artists, occasionally as curators, and sometimes as philosophical agent provocateurs. They create installations, make videos, photographs, print and online works, play with archival traces, make exhibitions and art interventions in public spaces, write essays, enact lecture-performances, engage with pedagogical procedures, edit books, design events, and foster collaborations. In 2000, Raqs co-founded the Sarai New Media Initiative at the Center for the Study of Developing Societies (CSDS) in Delhi, and the Sarai Reader Series. 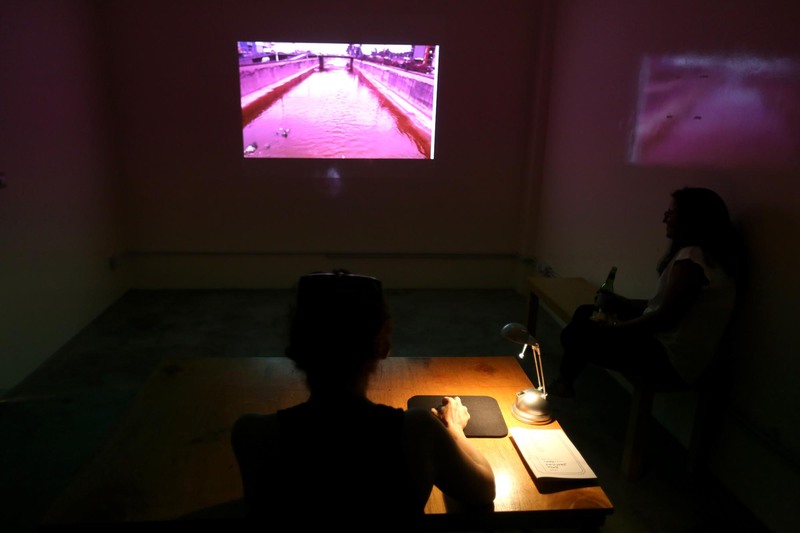 Raqs’ work has been exhibited widely, including at Documenta, and at the Venice, Istanbul, Taipei, Liverpool, Shanghai, Sydney and Sao Paulo Biennials. They have had solo shows in museums and in educational and independent art spaces in Boston, Brussels, Madrid, Delhi, Shanghai, London, New York, and Toronto among other cities. Raqs also curated Rest of Now, Manifesta 7 (Bolzano, 2008), Sarai Reader 09 (Gurgaon, 2012-13), and INSERT2014 (Delhi, 2014).